I received this for review from Simon Pulse for review/blog tour. As always, my reviews are fair and un-bias. 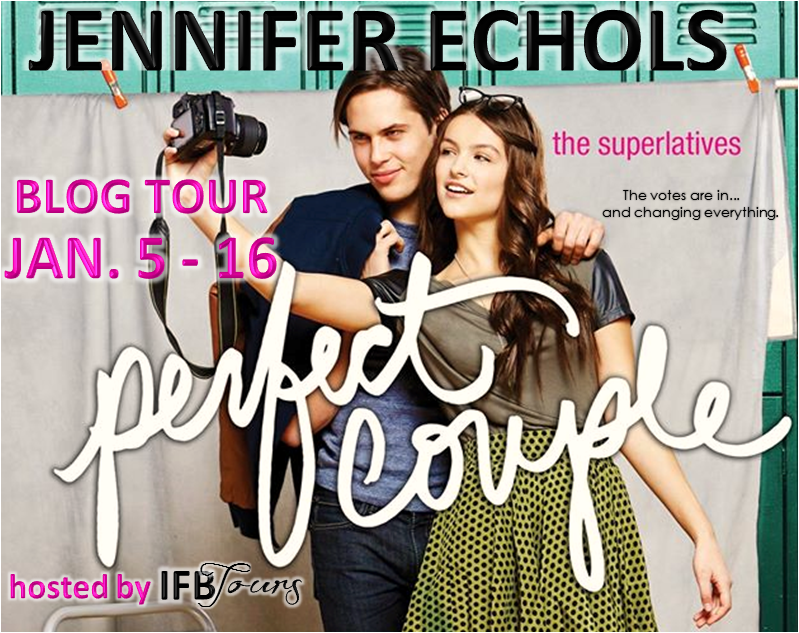 In this second book in The Superlatives trilogy from Endless Summer author Jennifer Echols, Harper and Brody think they're an unlikely match, but the senior class says they belong together. As yearbook photographer, Harper is responsible for those candid moments that make high school memorable. But her own life is anything but picture perfect. Her parents' bitter divorce left her wondering what a loving relationship looks like. And ever since the senior class voted her and star quarterback Brody 'Perfect Couple That Never Was', her friends have been pushing her to ask Brody out. Brody doesn't lack female admirers, but Harper can't see herself with him. He's confused about the match too. Yet they find themselves drawn together; first by curiosity about why the class paired them, then by an undeniable bond. The trouble is, though they're attracted to each other, they have a hard time getting along or even communicating well. If they're the perfect couple, this shouldn't be so difficult! Soon it becomes clear their class was wrong, and they throw in the towel. But they feel so changed from making the effort, they can't forget each other. What if this match made in hell is the perfect couple after all? 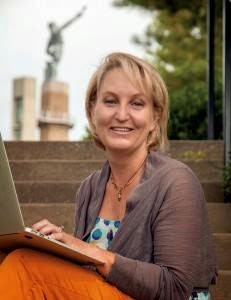 Jennifer Echols is one of the best YA Contemporary Authors out there, and if you've picked up just one of her novels, you would know that straight from the start. Her mix of humor, romance and capturing the drama and realistic aspects of life in High School are just a few of the things that make me love the Superlatives series in particular. The second book in the Superlatives series is Perfect Couple, which is my favourite so far. Harper is yearbook photographer and it's her job to capture the memories of the times that everyone will one day look back on. She's great at that, except her life is anything as perfect as the pictures she takes. Her parents divorce have left her at a loss for any relationship in her own life even though the senior class voted her and Brody, the quarterback, "The Perfect Couple That Never Was". Harper can't see herself with him, even though her friends pester her to ask him out. Although Brody is startled as to why they were deemed a "Perfect Couple" too. They're opposites, and have nothing in common. Except being labelled as the Perfect Couple That Never Was, that is. And that's what ignites the fire between them, the hesitation over their senior class giving them this label, and then, they discover that maybe they're not as far apart as they thought. But even the "Perfect Couple" get lost along the way and Harper and Brody do before long. Still, they can't seem to forget each other no matter what's happening in their lives. Almost like a magnetic pull, they can't seem to stay away from each other in thoughts or in person. Perfect Couple was everything I expected it to be. Dramatic, realistic and utterly flawless. Jennifer never fails to deliver a romance that swoons, surprises and lights up like fireworks on the pages. Anything less than five-stars would be criminal. Perfect Couple is perfect for YOU. Check out the other tour stops for Jennifer here. Favourite Quotes But if the purpose of a picture was to capture the memory of a moment, I didn't need one. I would carry this feeling in my heart forever. For once I honestly didn't care how this looked. I put my hand on his wet hair and kissed him back. "Because he's a local celebrity and I'm not?" "No, because he broke his leg in sixth grade, trying to jump a palmetto grove in his go-cart." "I see your point." "Then you get elected Perfect Couple, and you realize that other people see you as something more than a walking, talking brain. Or, something different. That's how I felt when I was voted Biggest Flirt. I mean, hello? I was so worried about what my parents would think." What's your perfect couple in literature? 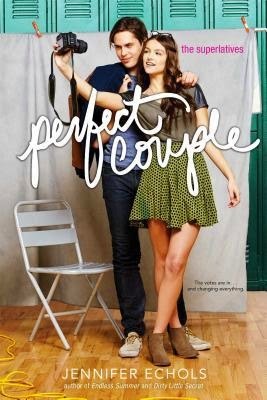 Have you read Perfect Couple?